With Hawaii’s homeless crisis reaching epic proportions, a church in Honolulu has sourced a surprising solution from a company in Alaska. InterShelter fabricates dome homes that look like igloos made of fiberglass. Easy to set up and transport, the round shelters could provide a temporary solution for those sleeping rough in The Aloha State. The church, First Assembly of God, has assembled 12 igloos so far. Last year Hawaii’s governor declared a state of emergency for people in the state who lack homes. Per capita, the highest rates of homelessness in the United States can be found in the state many consider to be paradise. Without adequate state housing available, one church decided to combat the problem on their own. They collected $100,000 from their members and other faith communities to buy the domes, which cost $9,500 each, plus an added $800 for shipping. 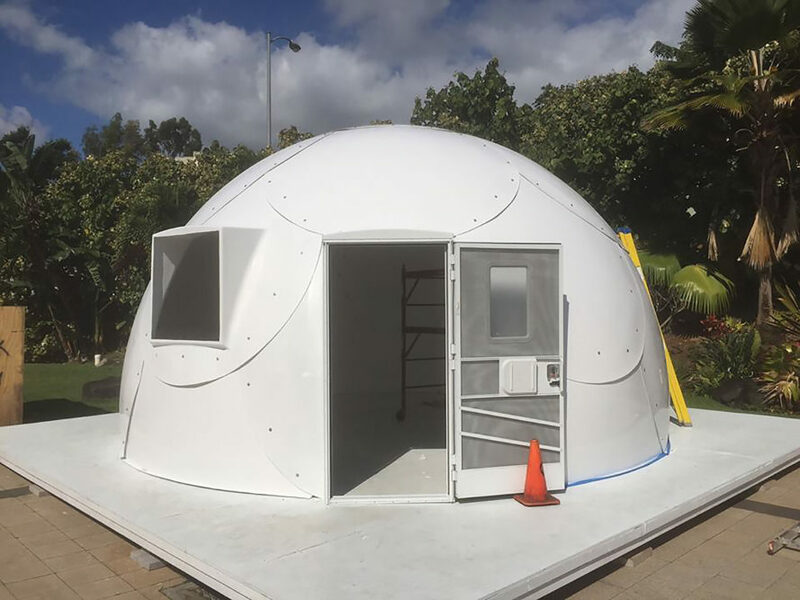 Senior pastor Klayton Ko said the homeless situation “is a crisis situation.” Despite their efficacy, the church views these domes as only the first step towards a more permanent solution to homelessness in Hawaii. 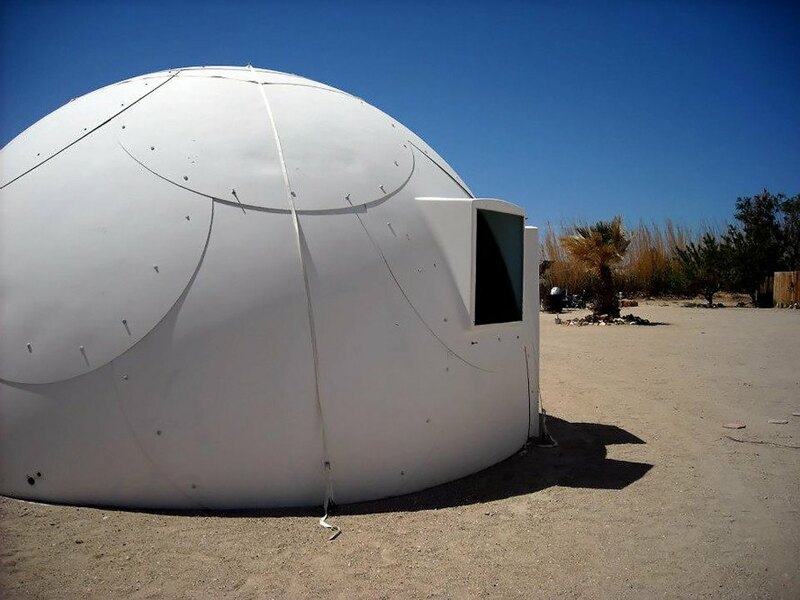 Each dome can shelter up to four people, offering a greater measure of security than that found on the street. Inside, the domes have 314 square feet of space and are 20-feet-wide. The domes are assembled by putting together 21 fiberglass panels that overlap each other and “stack like Pringles potato chips,” according to InterShelter CEO Don Kubley. The church hopes to establish corporate sponsorships to help finance the igloos until Hawaii has the resources to address the housing issue in a more permanent manner. One Honolulu, Hawaii church decided to fight the mounting problem of homelessness in their community with Alaskan igloos. These igloos aren't made of snow, but fiberglass, and are easy to put together and transport. The igloos are made by Alaskan company InterShelter, who offer their shelters for disaster situations, refugees, and the homeless.